Choose any two of our rejuvenating 50-minute package spa treatments listed below. Package includes spa lunch, spa gift, and service charge. * Packages are for Day Spa guests only. Treatments NOT listed here may be substituted in any package for an additional fee. Additional services may be added to any existing package. Choose any two of our rejuvenating 50-minute package spa treatments listed below and one indulgent 80-minute package spa treatment also listed below. Package includes spa lunch, spa gift and service charge. 180 minutes for each of you—adding up to 360 minutes of pure bliss for the two of you. Embrace some quality time in the privacy of our outdoor Bamboo Suite, where you will enjoy specialty juice, champagne, and light bites. A waterfall hot tub, lounge chairs, and a private shower create a peaceful sanctuary for your morning or afternoon journey. During hot summer days (or inclement weather) your treatment will take place in our Indoor Suite and one of our private cabanas will be reserved for you by our Palm Pool. Price: $1450 for 3 hours (including a 100-minute body treatment / 180 minutes total for each guest). Service Charge included and Tax excluded. To begin your treatment, you will choose between our Lemongrass Mimosa Body Scrub to brighten and hydrate with micronized Walnut and Bamboo extract and seductive aromas of Jasmine and Ylang Ylang, or our Espresso Mud Body Scrub to purify and detoxify with the early notes of Coffee Arabica, Sarsaparilla and Volcanic Pumice. Never having to leave the treatment table, a warm body compress and herbal booties prepare your muscles for a full body massage with an antioxidant rich lotion. Sicilian Bergamot, Valencia Orange and Pink Grapefruit soothe the skin and psyche. 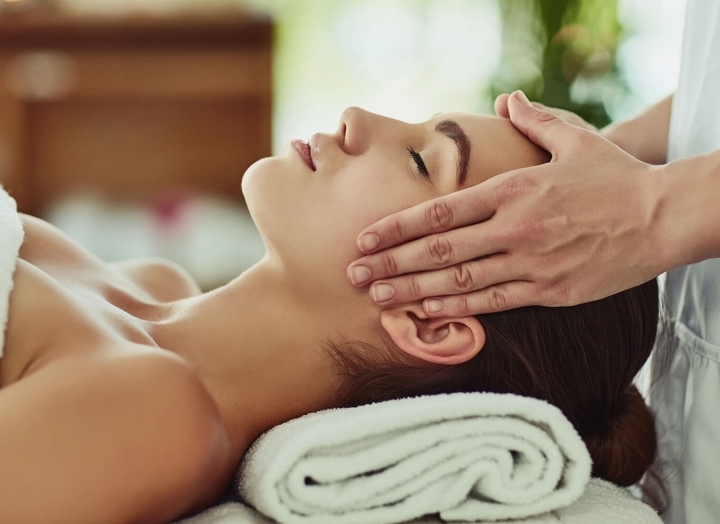 From light pressure to deep tissue, your personalized massage will include special focus on the scalp and feet to restore balance and ease tension. Your journey concludes with alone time in our Bamboo Suite with opportunity for a Gratitude exercise. For the mother-to-be, this package delivers a 50-minute Mom-To-Be Massage, Classic Manicure and Pedicure, spa lunch, special spa gift for mom and service charge. Enjoy together-time with an 80-minute Aromatherapy Massage for each of you in a suite specially designed for the occasion, plus a 50-minute Facial. Package includes spa lunch, spa gift and service charge.